Looking for storage unit clean out services in Brookhaven, GA and throughout North Georgia? Renting out a storage unit can be pricey and we help hundreds of companies each year save money by cleaning out their storage units. Considering that the average cost of a storage unit clean out in Brookhaven Georgia is around $150 per month, you can save a minimum of $1800 a year by letting us clean out your storage unit. What’s the point of wasting your money by storing the items you no longer use? If it is old customer files and financial documents you are storing, let us shred and recycle them for you. If it is old furniture, computers, electronics, or general office supplies let us donate or recycle them for you. 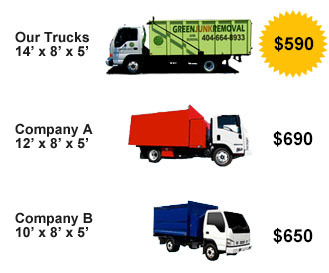 Please call us at (404) 664-8933 for a free estimate and start saving! 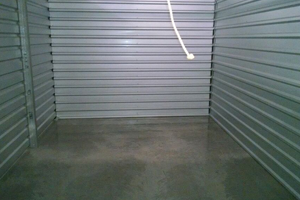 We clean out storage units of all sizes at any location, including pods. We clean out all kinds of items from storage units in Brookhaven, GA including computers, books, file cabinets, office desks, cubicle panels, electronics, televisions, old furniture, medical equipment, business machines, files and documents (including shredding services), and pretty much anything you can think of. 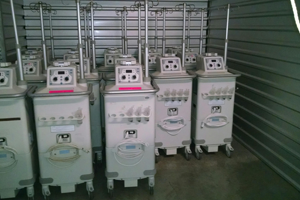 We can also help you consolidate multiple storage units into one and save you money in the process.